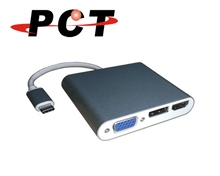 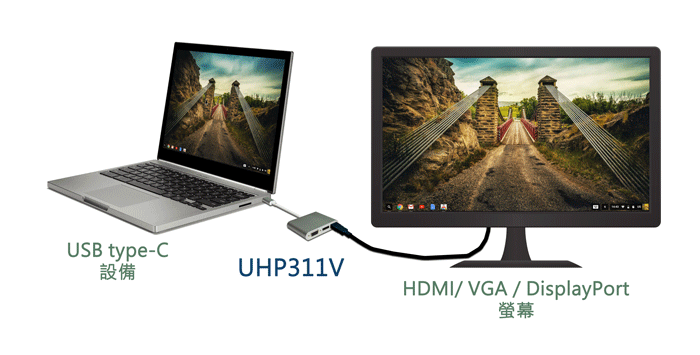 Taiwan USB Type-C to HDMI / DP / VGA Adapter | POWER COMMUNICATION TECHNOLOGY CO., LTD.
Mirror or extend your source device display to HDMI, DisplayPort or VGA monitors (one at a time). Supports resolution 480i, 480p, 576i, 720p, 1080i, 1080p, 1440p, 4K2K@60Hz(HDMI and DisplayPort only). 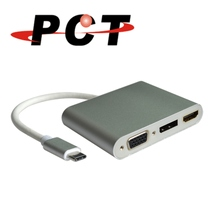 Supports Windows, Mac and Chrome Operating System. 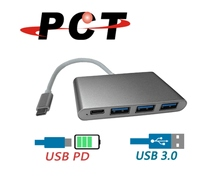 USB Type-C to 3 Ports U..